William Paterson University suffered outstanding destruction when famed movie monster, Godzilla, attacked the campus. Luckily, no one was injured during the attack, however many students were shaken up. The incident occurred during common hour, which is when the first on-campus sighting of Godzilla was reported. “You can’t really miss a 400 foot radioactive dinosaur,” senior John Fiorino said. “I reported it to the campus police, but they just laughed. That’s when one of their patrol cars came crashing through the building,” Fiorino continued. The attack lasted 20 minutes. Unfortunately he did not destroy the apartments, which so many students were longing for. “He hits everywhere on campus except the apartments!” senior Ryan Doyle said. The apartments are the only building still standing on campus. Students were not very happy that classes went on. “We just got attacked by a giant monster, there’s fire everywhere, and we have to worry about our midterms?” senior Nicole Casal said. 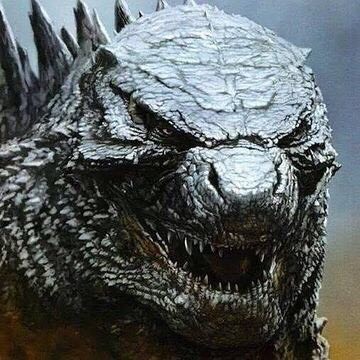 The destruction caused by Godzilla will take months to clean and years to rebuild. “I thought it was pretty cool,” junior Anthony Baamonde said. “I’ve been watching him since I was so young, and then boom, there he is,” Baamonde continued. Other students were not as thrilled. “He destroyed my vape,” one student said. The only positive that came out of this is that Godzilla cleared out new space for more parking lots. Hear that Willy P? This begs the question: will WPU be attacked again? It’s a strong possibility. If King Kong has a TV he might try to one-up Godzilla. But it is highly unlikely that we will see another giant monster attack us. However, the Godzilla attack remains a mystery for everyone on campus. WPU should be better prepared for giant monster attacks, as crazy as that sounds. Some students were seen throwing rocks at the monster, which did absolutely nothing, as expected. Godzilla’s motives are not clear and we were not allowed to ask him any more questions, since his lawyer forbid us.